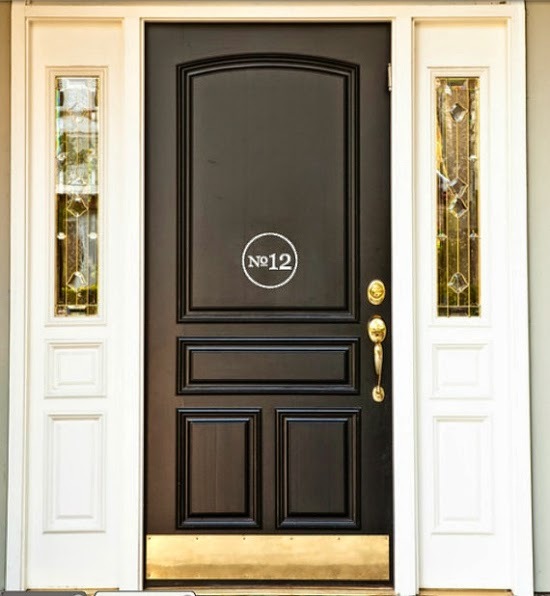 Lately I have been a bit obsessed with front doors, specifically the creative way to number your house! 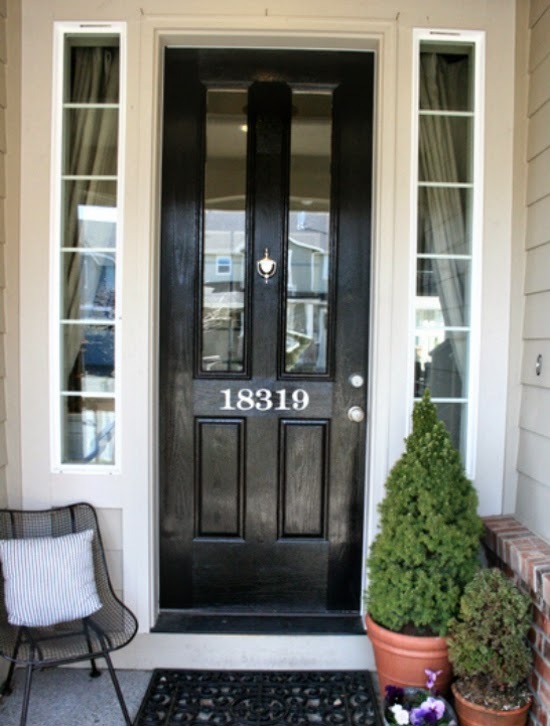 As with the front door color I think the way your house is addressed certainly sets the tone for the feel of the home. Below are just a few favorites I have saved to my "Addition Inspiration" folder over on Pinterest. As you know I have a serious love of typography and the crisp look of a number written out just seems so regal to me! 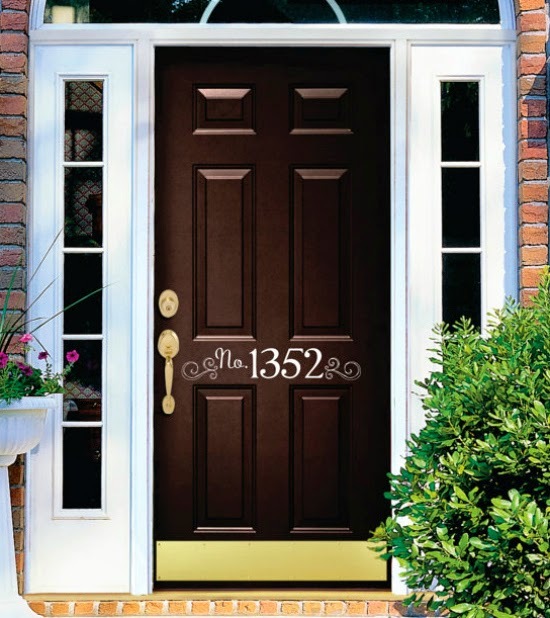 Our house number is 400 so this might just be the winner for our new door. Placing your house number in the middle of the door works well if it is more than 3 digits. Anything less might get lost and be hard to see from the street. Can we just talk about the great finds on Etsy? This one feels unique but also contained, I would expect this house to be very organized and in order! The swirl and "No." add to the fun feeling of this home. I also am a BIG BIG fan of kick plates, if you have kids you know exactly what I am talking about. Why does one need to "kick" the door open? Since my first trip to Italy I have loved the look of ceramic house numbers. 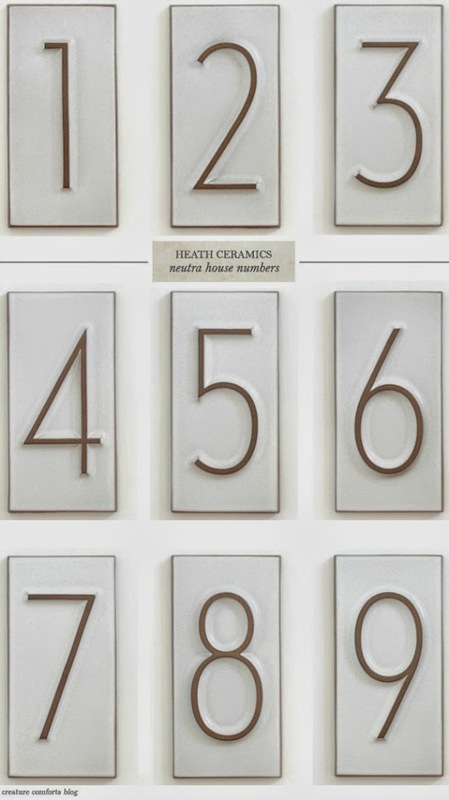 This option from Heath Ceramics gives the number a modern feel. They are clean but also have a creative feel to them in the Neutra Font. What does your house number say about you?